The 2013 PRWeek / PRCA Census is a noble exercise on behalf of an industry that is maligned, undervalued and full of agencies that run on lean budgets, which don't afford them the time to celebrate their own magnificence in the same way as our friends in advertising do. For every PR professional who has been shouted at, hung up on or condescended to by a journalist, the evidence that our industry continues to go from strength-to-strength while theirs suffers a protracted existential crisis should offer succour, but not an excuse for schadenfreude. 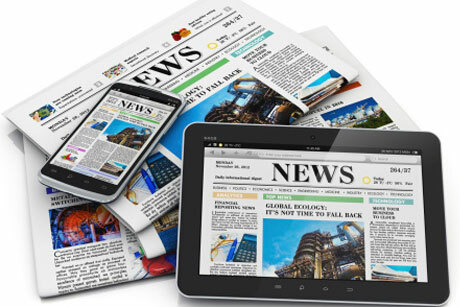 PR has always enjoyed a symbiotic relationship with media gatekeepers and, despite the rise of social, our industry’s future arguably relies on a healthy, confident media sector more than ever. As a European, working with multinational companies, it has been a fairly depressing in recent years, to watch more and more of them turned their lidless eyes away from this continent and towards the emerging economies. The UK’s growing population means that we’ll continue to matter as a consumer market for a long time to come, but our relative decline as an economic power is inevitable. Brands and business leaders want to be where the action is. London’s importance as a centre for global media and influencers has insulated the UK PR industry from this power shift. The fact that UK companies like The Mail, Sky, The Guardian and The Economist have built global brands, while international media like The International New York Times [launching next month and an Edelman client] increasingly choose London as a base of operations mean that London still matters. Our global media reach also helps to sustain London’s role as a centre for fashion, entertainment, financial, trade and tourism – which themselves produce many of the influencers we use to bypass traditional media gatekeepers as a route to our clients’ audiences. As an industry, we have to help our clients to behave like media brands – to build their own audiences and communities – but we also need to give thanks for the media brands we already have.